Bonjour Scrap ! : First snow ! 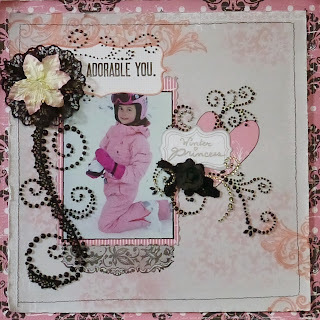 Heidi Swapp papers, Prima Marketing crystal flourishes, and flowers, Spellbinders template with pink ink, black Liquid Pearls, pink Copic marker, Inkadinkado stamp, white and black stitching. I can't wait to have enough snow to be able to ski, or make snowmen or snowball fighting... After few year in Texas, we will enjoy a real winter ! This is so pretty! 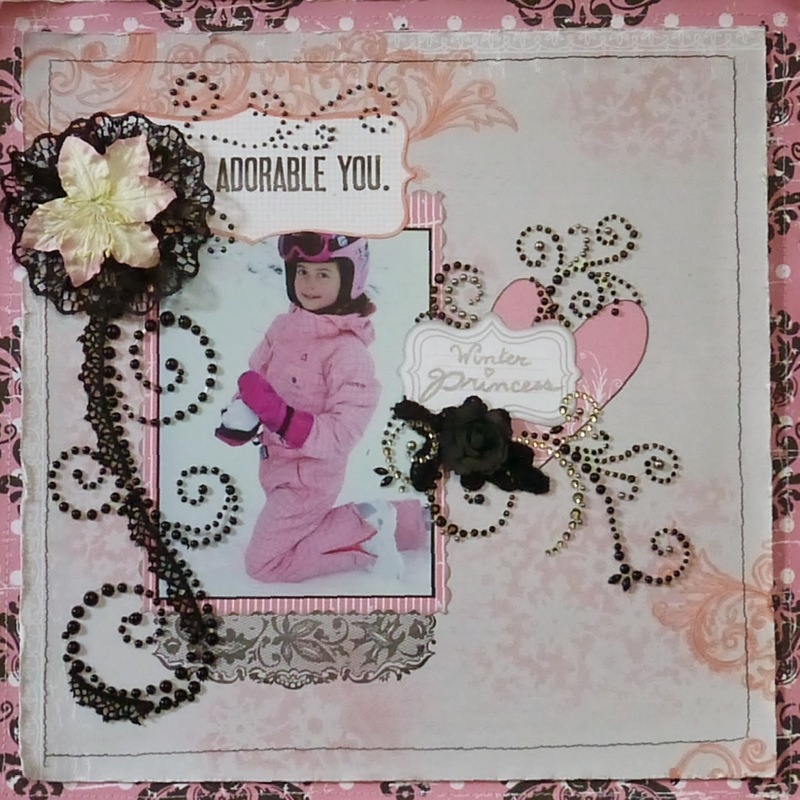 Love the color combo and flourishes! Beautiful! Love the colors and bling! awesome layout! love the colors and bling and flowers! so pretty! I love the pink. It really makes the layout pop.